With wood logs or wood pellets in combination with a Solarbayer biomass boiler you will heat eco-friendly, carbon neutral and ecological at highest energy efficiency and a perfect price-performance-ratio. 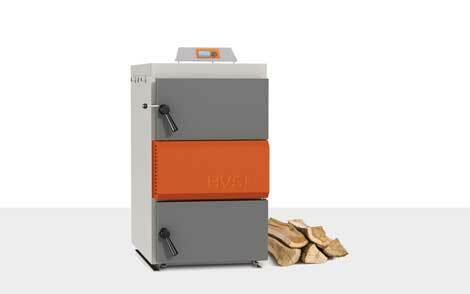 Solarbayer HVS wood gasification boilers are performance and combustion controlled due to the integrated lambda and /or temperature sensor in the flue gas. You can choose between two different designs, either with lambda control (HVS LC) or without (HVS E). The fuel needs to be untreated, split logs with a lenght of 33-100 cm depending on boiler size. The nominal heat output range is available from 16 to 100 kW.